This online course introduces students who are proficient with the 2D commands in the AutoCAD 2018 software to the concepts and methods of 3D modeling. 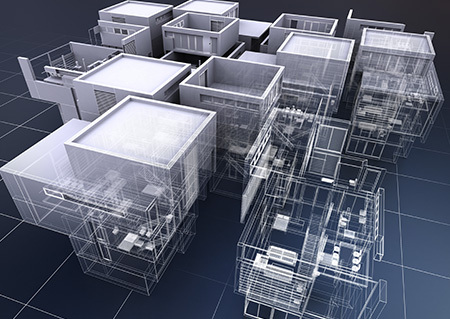 The course provides a thorough grounding in the fundamentals of 3D and explores the main features of the advanced 3D modeling workspace in the AutoCAD 2018 software. 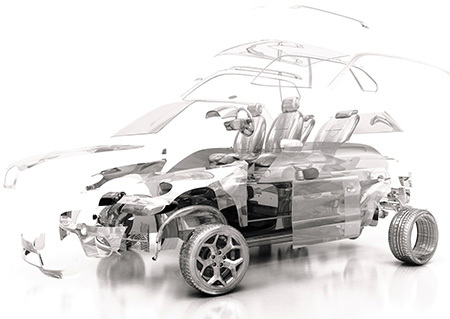 This course uses Autodesk certified curriculum. The AutoCAD 3D 2018 course introduces students who are proficient with AutoCAD 2D commands to the concepts and methods of 3D modeling. The course provides a thorough grounding in the fundamentals of 3D and explores the main features of the advanced 3D modeling workspace. The online content in this course is heavily focused with hands-on exercises where students are required to use their installed software as well as downloaded files to learn and practice their new skills. All examples and exercises are taken from the variety of fields where AutoCAD is used. Upon registering, you are given three months to complete the course. As a student you can also download a free version of the AutoCAD 2018 software that provides a 3-year student version license. Please note that ed2go cannot extend the software license for AutoCAD 2018. The AutoCAD 2018 student software license cannot be used in a commercial environment. A CD / DVD drive if you plan to install AutoCAD by disc. 8GB of RAM is recommended. AutoCAD 2018. You can download a free version of the AutoCAD 2018 software (containing AutoCAD 3D tools) that provides a 3-year student version license, however, the student software license cannot be used in a commercial environment. Software is not included in the cost of tuition. All software must be installed and fully operational before the course begins. Before enrolling in this program, you should have a basic knowledge of the Windows operating system and be comfortable installing software, working with file structures, downloading files, and unzipping compressed files. You should have an Internet connection, e-mailing capabilities, and be familiar with using the Internet. 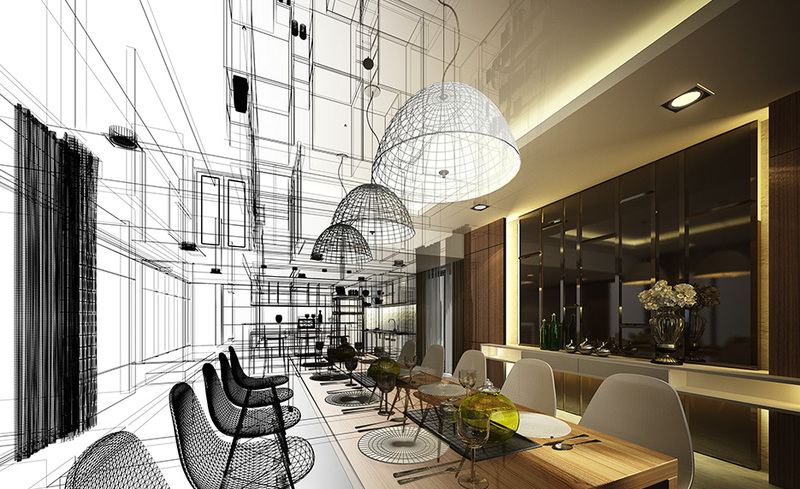 A working knowledge of basic design/drafting procedures and terminology is recommended. In order to take the AutoCAD 3D 2018 portion of the class, you must have taken AutoCAD 2018 or have equivalent experience with the 2D commands and software interface for AutoCAD 2018. Jennifer MacMillan holds a mechanical engineering degree from Dalhousie University, Nova Scotia, Canada. She's been teaching CAD for 22 years and is an Autodesk® Certified Instructor (ACI). She currently manages a team of curriculum developers that design and develop both online and print curriculum for the Autodesk line of engineering software products. As a subject matter expert herself, she focuses her development efforts working specifically with the manufacturing software products. Jennifer has always enjoyed teaching and passing her knowledge and interest in CAD on to her students. Michelle Rasmussen is a specialist in the civil engineering industry. She started her career in the Air Force working in the Civil Engineering unit as a surveyor, designer, and construction manager. Michelle has worked with and created training curriculum for AutoCAD and Autodesk Civil 3D since 2007. Additionally, Michelle is the first Autodesk Certified Instructor (ACI) and Evaluator (ACE) worldwide for Civil 3D. Michelle’s passion and enjoyment in training users has also led to roles as an advisor to Autodesk on the Autodesk Authorized Training Center (ATC) Advisory Board and ATC Leadership Council where she served as Chair and Vice Chair. Renu Muthoo is a Computer Engineering graduate from Bangalore University, India. She has worked with Autodesk, Inc., products for the past 22 years, focusing mainly on AutoCAD/AutoCAD verticals and Autodesk’s design visualization software products such as 3ds Max, VRED, and Showcase. Using her engineering background, expertise in Autodesk products, and training in Instructional design, she has co-authored a numerous books for various CAD audiences. In her current role she works as a curriculum developer and subject matter expert, developing and writing training courseware for Autodesk products. All of our programs are self-paced and open enrollment, so you can start them when you want and finish them at your own pace. Upon registering, you’re given six months to complete the program. In order to take our online programs, you must have access to a computer and the Internet. You can access the program contents from any Web-enabled computer. You don’t have to use the same computer to log-in to the program every time. Additionally, you must have a computer that is capable of running AutoCAD 2018 (see system requirements for more details). As a student you can download a free version of the AutoCAD 3D 2018 software that provides a 3-year student version license. Please note that ed2go cannot extend the software license for AutoCAD 3D 2018. The AutoCAD 3D 2018 student software license cannot be used in a commercial environment. We recommend that you have a word-processing program (Microsoft Word is the best) and the latest version of Internet Explorer. 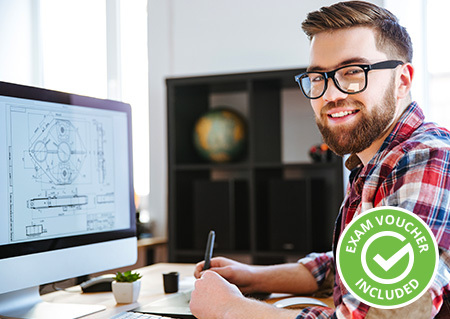 To prepare for the Autodesk AutoCAD certification exam, users must also take the AutoCAD 2018 Certified User course.